A couple of days ago, Apple launched their new Operating System iOS 11.3, which has a lot of improvements in the existing features. As a result, it is crucial to be in check with iOS App Development trends. The main reason why iOS applications are succeeding is that they offer better security capabilities than Android. 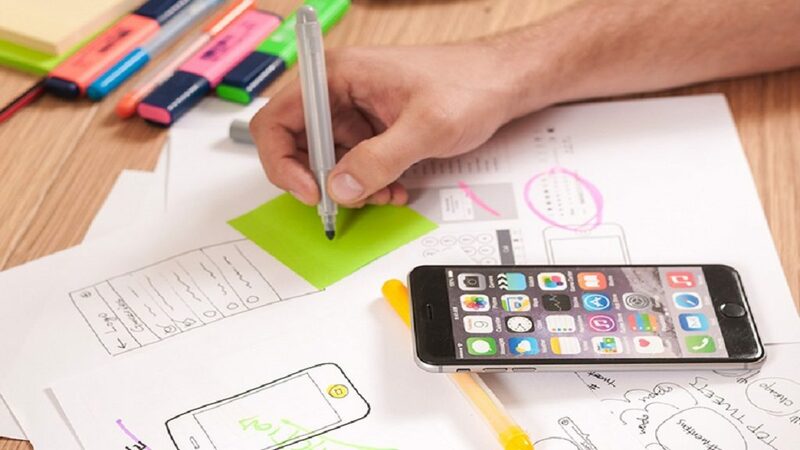 In this article, you will get to learn four trends that define the future of iOS App Development. Everyone who is involved in iOS App Development knows what Swift is. Swift is a programming language that was developed by Apple to offer support to iOS and Linux Operating Systems. Swift 4 is an upgrade of Swift 3. The good thing about Swift 4 is that it was designed in a user-friendly manner, is scalable, and offers security that is robust. The question is what is in it for the iOS App Development team? The development process of the apps will be more straightforward and will take up less machine memory. In today’s world, most people like working with applications that are simple and secure. The good thing is that with the help of Swift 4, such as achievable in the future. 2. Upgrades in Artificial Intelligence and Siri. From the moment the iOS App Development team came up with Siri, it has become so famous all over the world. Siri has brought considerable changes in Artificial Intelligence and learning that is contextual since it can understand what people are searching. Additionally, Siri has helped people find answers to some seriously challenging questions. The good thing is that it also has GPS features which help people to easily navigate the country without getting lost at any one point. You can now see why such functionality is popular, and will still be used in future years. 3. Apple pay will become more user-friendly. Apple has introduced a digital online mobile wallet that helps iOS users to make payments faster and efficiently. The good news is that it will not only support iPhones, but iPads, Mac laptops, and iOS watches as well. If you are planning to get Apple pay, do not be worried about security at all since it is highly secured. Surprisingly, there has been an increase of 500% on Apple pay transactions. You can reserve hotel rooms and book flights using Apple Pay. A unique thing about Apple pay is that you can send or receive cash through messages. Apple still retains strictness when it comes to security. As a result, iOS App Development team can implement Apple pay. You can be able to tell that Apple pay is safe enough for you since you are not asked to provide your credit or debit information anywhere. That means it will serve most people for some years to come, and it is expected to gain more popularity. When Apple released iOS 11.3, it came with an app known as Files, specifically for file management. “Files” is a cloud-based application that allows a user to store all his or her information in one file that can be accessed anytime using any device. Individuals and big companies can use it. All you need to do is create a dashboard where you will be storing all your images, files and videos together. So much time is saved since you do not have to keep searching for anything. Sharing of information will be so easy due to the invention of cloud-based apps. Therefore, “Files” is likely to be the next big thing in the future. As time goes by, technology continues to change. For you to be in check with all changes, you need to keep up with the pace. Apple has so much in store for iOS developers and final users in the years to come. To stay updated with all the upcoming trends, the developers have to develop trending apps.